Have you tried any Melt lipsticks yet? I'd been drooling over them for a while before I bought my first one and I've gotta tell you, they're worse than a can of Pringles - once you pop you can't stop. Since purchasing Summer! a few months ago in a destash I have somehow bought seven more. Honestly, I don't even know how this stuff happens. It's like my Paypal account has a mind of its own. Melt lipsticks come boxed, but my lipstick was missing the box as it was purchased from a destash as mentioned above. The tube is long (longer than a MAC lipstick) and matte black with the Melt logo printed on it in purple. The packaging is of very nice quality - I love the attention to detail Melt have put in. They have made no compromises in ensuring the quality matches the $19USD price point. Bonus for the animal lovers - Melt are cruelty free and this particular shade is also vegan. Summer! is an ultra-matte peachy-orange. On some people it looks much peachier but on me the orange leanings seem a lot stronger. It has awesome colour pay off and applies smoothly from the tube without dragging or skipping the way some super matte lipsticks can. Summer! 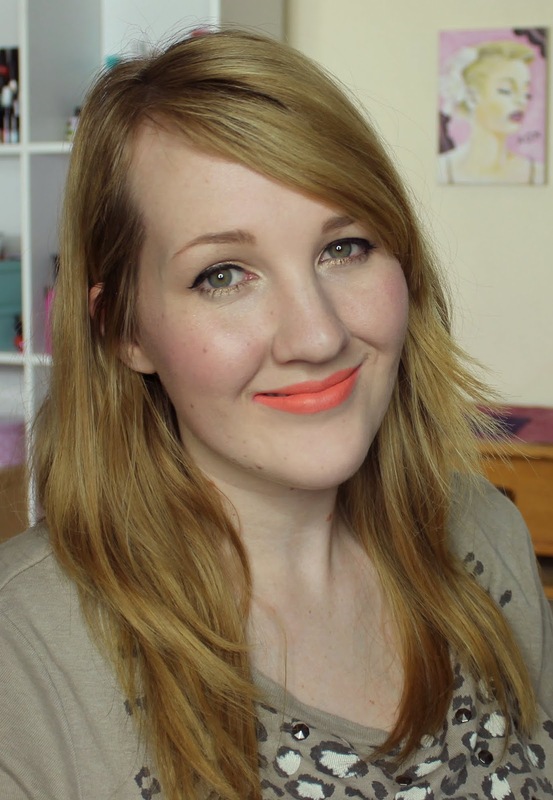 can emphasise flaws however, so prepping your lips is a must! It lasted on me for just over four hours and was very comfortable to wear, I didn't find it drying at all (always a pleasant surprise with a matte!). 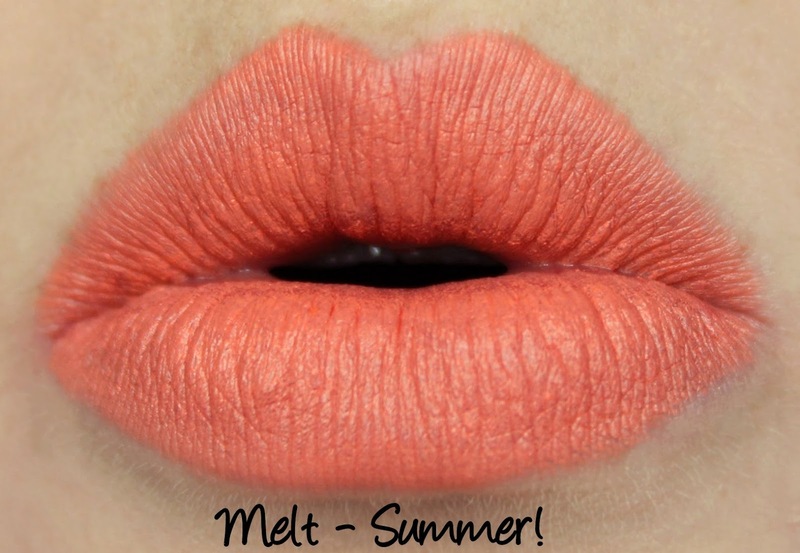 Melt lipsticks have a vanilla cake scent which I enjoy, but in Summer! there's also a kind of play-doh undertone that I don't love. I've noticed that with my newer Melt lipsticks the vanilla cake scent is a lot stronger and I barely notice the play-doh aspect, so I'm not sure if it's something that becomes more prevalent over time or the scent has just been tweaked. Worth noting, anyway.